We began our writing week by learning how to write instructions on how to make porridge, ready to leave in the Bears Cottage for the three bears to enjoy. We followed our instructions and made three different bowls of porridge to meet the needs of each bear. We spoke about comparative and superlative adjectives to compare the Bears and the bowls of porridge. The next day we came to school to find a ransacked cottage. We suspected that Goldilocks had been up to no good. Our investigators worked really hard looking for clues on who the criminal was. They found: a necklace, a lock of hair, a ribbon, a basket, footprints and a pair of glasses. From the evidence, we were able to think about who committed the crime. 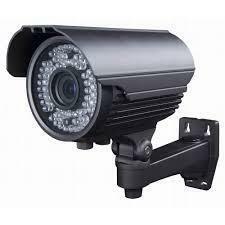 We still needed more evidence, so the chief inspector asked Mrs Smith to check the CCTV. This is what she found! Click on the camera to watch the footage. We were all surprised to learn that it wasn't Goldilocks who had committed the crime but Little Red Riding Hood. With the new evidence the children were able to create wanted posters to help catch the criminal. Some children thought of headlines for the evening news and others wrote a short report to be broadcasted live on TV. Click the picture below to watch the news with our very own news reporter Emmie! Year 2 were are relieved to hear that Little Red had been caught by the police and was in custody. Unfortunately Little Red would not plead guilty and so it was down to Year 2 to find more evidence by questioning her and the witness. The children came up with different questions to ask Little Red to made sure she was found guilty of her terrible crimes. After questioning, the ordeal was over and we received this picture from the local police. A big well done to everyone in Year 2 for solving the mystery and helping the police catch the culprit. We hope that Little Red has learnt her lesson.